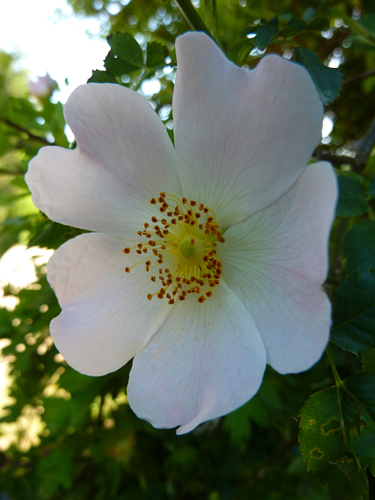 A dog rose, delicate and beautiful. 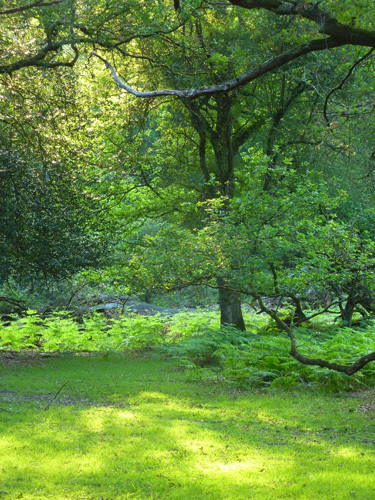 All is green in Roe Wood – given the dry weather, we’re lucky! 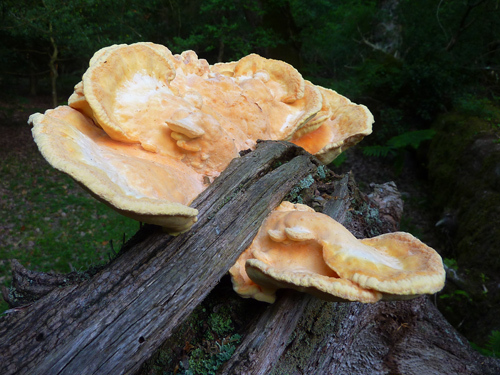 The wonderful Chicken of the Woods fungi growing on a fallen oak tree, also known as Sulphur Shelf, but officially as Laetiporus. 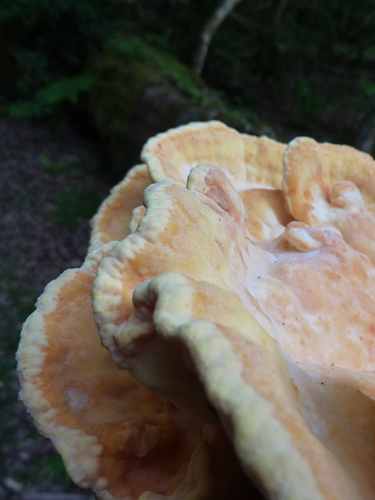 Chicken of the Woods – a bit closer in. 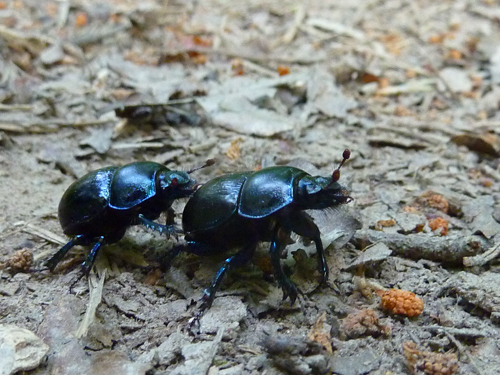 Dung Beetles, doing what dung beetles do when there isn’t any dung around!